Cycling to work has dramatically grown in popularity over the last few years. It's a great way to cut petrol costs, ease congestion frustrations and keep fit. Now, thanks to the Government's cycle to work scheme you can purchase your new bike from Leisure Lakes Bikes completely tax FREE! This fantastic Government initiative allows you to ride to work without the big price tag! By ordering your bike tax FREE through the Cycle to Work scheme you can save up to 42% off the RRP of your next bike. 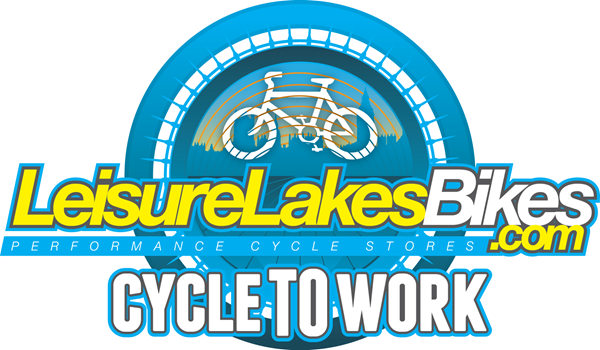 The Leisure Lakes Bikes Cycle To Work Scheme works by allowing you to spread the cost of your new bike, helmet, safety equipment and accessories (maximum £1000 in total or over £1000 through the Green Commute Initiative) paying via instalments being taken directly from your wage. The payments for the Cycle To Work scheme are taken out of your gross wage and your Tax & NI contributions are then worked out based on your new lower gross wage which is how you save money on your new bike and equipment. At the end of the time period specified with your Cycle To Work scheme you then have the option of buying your bike or to continuing to use it while you work for the company. If you decide to purchase the bike, the balance you owe will be based on a percentage of how much the bike was worth at the time you took out the Cycle To Work scheme. Find out how the price of the bike is determined. If you want to repeat the Cycle To Work scheme please note that all the items on your current Cycle To Work scheme must be bought and paid for first. For more detailed information about Cycle to Work check out the Government guidelines or visit the Government's Cycle to Work website. What’s Included In The Cycle To Work Scheme? To take advantage of this fantastic scheme and allow you to bike to work tax FREE, your employer must first sign up to take part. Joining the Cycle To Work scheme is quick and easy! Please note that your employer must join the Cycle To Work Scheme for you to then sign up yourself. If your employer has not signed up why not let Leisure Lakes Bikes set up and run a scheme for you. Simply email admin@c2w-support.co.uk with your contact details and we will call to discuss or visit our online registration form and sign up now! Browse our website for your bike and check the costs with our online calculator. At the end of this process you will receive confirmation that you can collect your bike or we will call you to arrange delivery at a time that's convenient to you! So why not check out our fantastic range of road bikes, hybrid bikes and mountain bikes and take the first step toward a healthier, greener lifestyle. We also stock a fantastic range of helmets and accessories so you can get all the kit you need to go along with your new bike and make the daily commute a breeze! Do you accept other Cycle To Work vouchers? We at Leisure Lakes Bikes work with all the major Cycle To Work Scheme providers so if you have vouchers for any other store we can also accept these! Simply send us a message on LiveChat or give us a call on 01772 644340 and we can confirm if we can accept the vouchers you have. If you don't have your vouchers yet and want to secure your bike and accessories then we can arrange that too! We just ask that you pay a 10% deposit, then after your vouchers come through and your bike is ready to be collected we will refund the deposit. If you decide you no longer want the bike then don't worry, we will refund your deposit too! If you have any more questions then don't hesitate to get in touch! Simply visit any of our eight bike stores, message us on LiveChat or call us on 01772 644340 and we can help you with anything you need.